After qualifying with an honours degree in 2004, Ioan has enjoyed working in general practice, providing high quality care in a relaxed and friendly manner. He is always happy to discuss any of your dental aspirations, and to help you achieve your goals. When not at work he can regularly be seen being dragged around by his two children or dog. Emma has previously worked within the hospital setting and is now enjoying the work of a general practice. She currently goes out on our care home visits and works one day in srugery. She is also qualified to provide acupuncture. Anna is our Dental Therapist. She is very competent, and enthusiastic about providing high quality treatment for all. 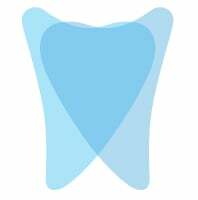 If you are interested in learning about the scope of practice of a dental therapist, please see the section at the bottom of this page. Sarah is our Practice manager and occasional receptionist. She previously worked as a manager within a hospital setting, but after having children she has stepped into the dental sector. Sue is the receptionist, and the first smiley face you`ll meet at the practice. She is also a registered dental nurse. Kelsea is a fully qualified dental nurse. She enjoys all aspects of her work as a nurse and also helps out on reception. Leah is one of our dental nurses. She spends one day visitng care homes and another nursing at the practice. Eve is the newsest memebr of our team. She is a fully qualified dental nurse and also undertakes reception duties. Dental therapists are registered dental professionals who carry out certain items of dental treatment direct to patients or under prescription from a dentist. • if working on prescription, vary the detail but not the direction of the prescriptionaccording to patient needs. For example the number of surfaces to be restored or the material to be used. Anna has also undertaken additional traininng to be able to provide tooth whitening.